Enola is thrown into a tailspin when she receives a desperate message from her old friend, Lady Cecily. Enola knows she must help her friend before it's too late - but she doesn't know how! 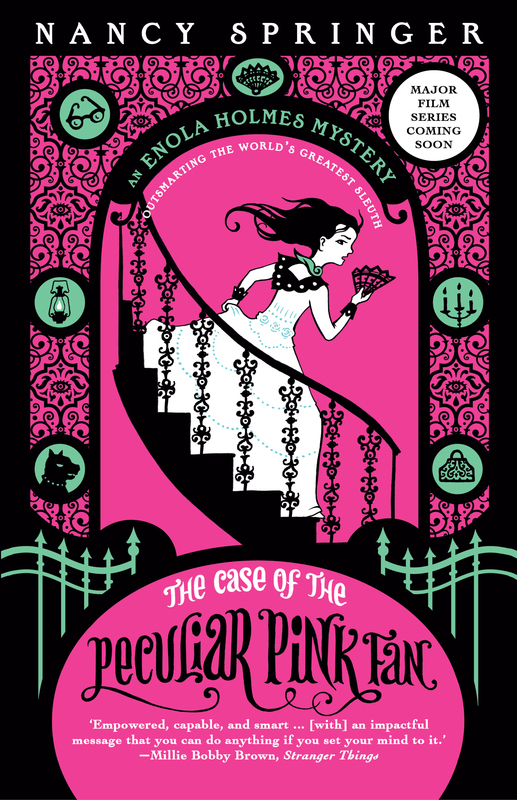 This complicated case has Enola hunting down clues all over London until she finally discovers the awful truth: Lady Cecily is being held prisoner! Enola must risk her own freedom and join forces with her brother, the famed Sherlock Holmes, to free Cecily. Can Enola trust her brother, and can they save Cecily in time? Nancy Springer has published forty novels for adults, young adults and children. In a career beginning shortly after she graduated from Gettysburg College in 1970, Springer wrote for ten years in the imaginary realms of mythological fantasy, then ventured on to contemporary fantasy, magical realism, and women's fiction and suspense before turning her attention to children's literature. Her novels and stories for middle-grade and young adults range from contemporary realism, mystery/crime, and fantasy to her critically acclaimed novels based on the Arthurian mythos, I Am Mordred: A Tale of Camelot and I Am Morgan Le Fay. Springer's children's books have won her two Edgar Allan Poe awards, a Carolyn W. Field award, various Children's Choice honors and numerous ALA Best Book listings. Her most recent series include the Tales of Rowan Hood, featuring Robin Hood's daughter, and the Enola Holmes mysteries, starring the much younger sister of Sherlock Holmes.